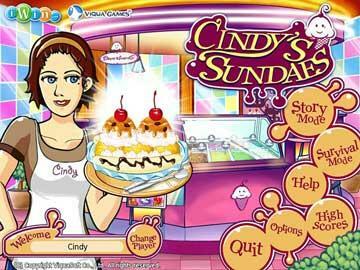 Help Cindy make her ice cream parlor a success. Match scoops and design beautiful ice cream sundaes, Unlock new flavors, toppings and sundae designs. Upgrade the parlor by unlocking 20 colorful, mouth-watering sundaes and 60 scrumptious toppings, then have fun designing your own beautiful ice cream sundaes and see them appear within the game! 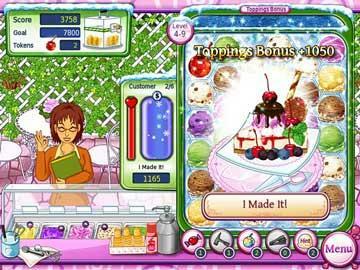 Have fun designing your own beautiful ice cream sundaes and see them appear within the game. Enjoy 5 lovely unique ice cream parlor themes, including tropical fruits, berries, and chocolate lovers. 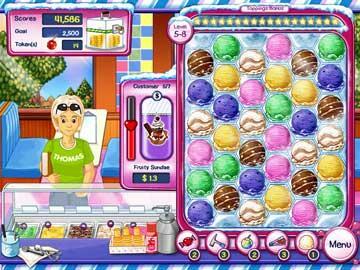 Upgrade the parlor by unlocking 20 colorful, mouth-watering sundaes and 60 scrumptious toppings.